Marks and Spencer Jubilee sandwiches – It’s a lie that fashion people don’t eat carbs. Marks and Sparks’ Gala Pork Pie and Egg or Roast Beef and Yorkshire Pudding sandwiches have us salivating. Adidas Originals Olympics T-shirts – If you must buy anything Olympics related this season, make it one of Adidas Originals’ reissued designs, featuring retro graphics from games past. Oasis – The high street fashion chain unveiled their glorious Autumn/Winter collection this week (left), and we’re pleased to report that textiles manufactured by Yorkshire mill Moon & Sons feature heavily. Nice work. 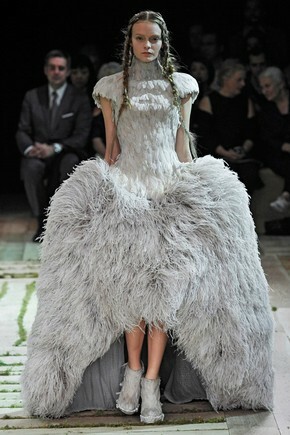 Marchesa – Regular red carpet fixture Marchesa have announced a more affordable contemporary line. Colour us intrigued. label.m and Giles Deacon – Toni & Guy’s haircare range now includes exclusive cosmetics and large tote bags featuring a detailed swan print from Deacon’s current collection. Cosmetics Pouch FREE with any 2 full sized label.m products. 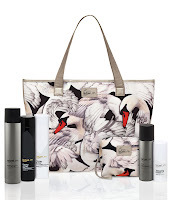 Tote Bag FREE with any 3 full sized label.m products or both Bag and Pouch FREE with any 5 full sized label.m products. Shinso skincare – Evil overlord of Saturday night primetime, Simon Cowell, is said to have swapped his Botox death mask in favour of the natural Japanese skincare brand, which claims to improve the appearance of skin within two minutes. Ballgowns: British Glamour Since 1950 – The V&A shows a selection of stunning ballgowns over two floors, featuring Royal designers Norman Hartnell and Catherine Walker, as well as Victor Stiebel, Zandra Rhodes, Alexander McQueen, and a dress created exclusively for the exhibition by Gareth Pugh. Runs from 19th May 2012 to 6thJanuary 2013. Now, if we could only get a ticket to the launch to preview it for you. Fat chance. Christian Dior ‘Escale a Parati’ – Hot on the heels of the new Oud Ispahan addition to Dior’s Private Collection at Selfridges, this new release bodes well. Another addition to Dior’s fabulously evocative ‘Les Escales’ cruise collection, this unisex fragrance’s citrus and woody notes are said to evoke the historical tourist town of Parati, on Brazil’s Cape Verde. Can’t wait to try. Available from June 2012. 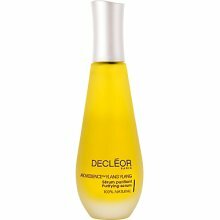 Decleor Arromessence Ylang Ylang Serum (£44) – A naturally powered Super Serum with a dry touch feel and texture. Includes 5 essential oils and plant oils which help purify the epidermis, reduce excess sebum and close pores. Teaming this ‘treatment’ with Aroma Purete Shine Control Oxegenating fluid (£24) which ‘mattifies’ aids combination-oily skin’s appearance. Vidal Sassoon R.I.P. – One of the most important creatives of the 20th Century full-stop, whose forward-thinking wash-and-wear approach to hairdressing liberated women as much as The Pill. And a real charming gentleman, to boot. Next Olympics formal wear– Italy gets Giorgio Armani. The United States have Ralph Lauren . Team GB draw the short straw and are saddled with drab tailoring from low-end precinct style vortex Next for their off-duty engagements. Dunhill, where are you when Team GB needs you? Tacky shoes – At one end we have glamour model Nicola McLean’s predictably trashy range of embellished stripped heels for Lemonade, at the other is a capsule collection by Sergio Rossi inspired by the Cannes Film Festival (right). Neither will be troubling our Must Have list. Met Gala dresses – For every well-judged Rihanna in Tom Ford, or Carey Mulligan’s Prada, there were at least three complete disasters – Beyonce’s feathered de trop fiasco courtesy of Givenchy Haute Couture, a matronly Sarah-Jessica Parker in Valentino (we expected better), or Florence’s flouncy over-stated overdose of ruffles were just the tip of the iceberg. David Gandy – Annoyingly beautiful. Annoyingly self-deprecating in this month’s Men’s Health magazine, and even more annoyingly articulate in his Vogue blog (CALL US). The Linda Evangelista/Francois Henri Pinault child support settlement – How dare they starve us of all those potential courtroom fashion moments, courtesy of our favourite supermodel OF ALL TIME? ‘Formichetti’ – Bored with dressing Gaga up like a surrealist nightmare, and destroying Mugler’s heritage, stylist Nicola Formichetti threatens us with his own vanity label, which will undoubtedly be big in Japan and completely ignored everywhere else. Brad Pitt for Chanel No. 5 – A.K.A Brad turns to advertising to pay for ‘that ring’. 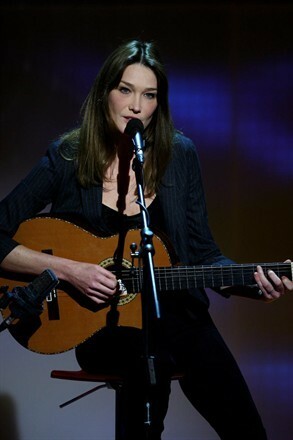 Carla Bruni’s new album – Announced whilst the ink on stories of her husband’s defeat in the French elections was barely dry, struggling chanteuse Carla must be furious about rumours that Karl Lagerfeld has jumped shipped to new First Lady, Valerie Trierweiler, already. Well Carla – “THAT’S SHOWBUSINESS”. Liz Hurley’s homewares – Liz is rapidly turning herself into a lifestyle brand, if you can call flogging beef jerky and emasculating Australian cricketers a lifestyle. Actress Samantha Morton once castigated Liz for not caring about her craft, but we tend to think that La Hurley’s craft is herself. As much a product of modern society as Closer magazine, or the Kerry Katona fragrance, and just as meretricious. John Travolta’s sexuality – We actually got tired of the allegations and speculation years ago. Nobody would, and nobody should, care about how Travolta chooses to live his life, so how we rolled our eyes at the sub textual homophobia in reports of a male masseur’s legal action, in which he has accused the Hollywood star of sexual harassment – and an untidy pubic region. Let him hide behind Scientology and a cuckolded wife if he wants to. It’s important that there are visible gay role models in society, but if Travolta is forced out of the closet by this court case, no-one should be rushing to place this hypocrite and liar on a pedestal. Weekly Barometer compiled by Lee Clatworthy (@TeamChutzpah) and Katie Chutzpah (@KatieChutzpah). Please let us know your thoughts by leaving a comment in the box below.